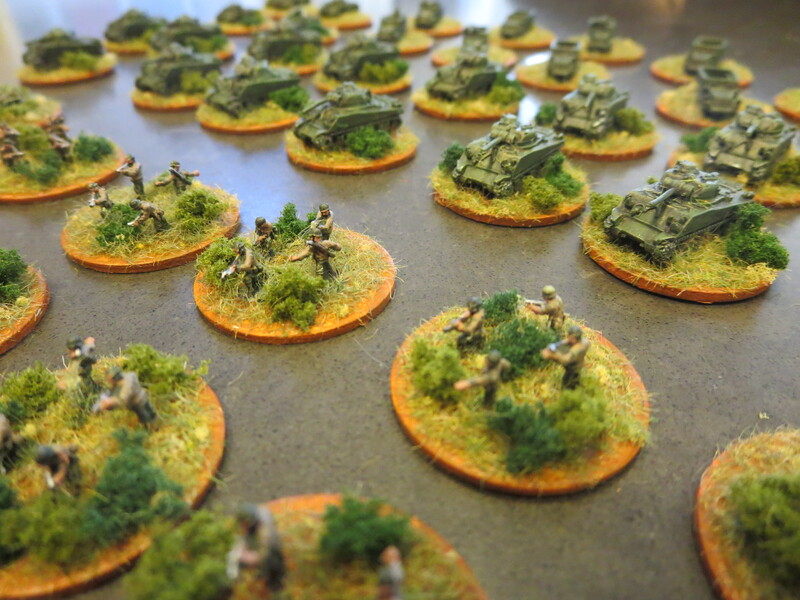 After years playing World War II at the 15mm scale, I switched things up in 2014 with 6mm micro armour models from GHQ. Wargaming at the micro scale offers a lot of advantages over the 15mm and 28mm scales in fielding larger armies at a lower cost, less storage space and smaller tabletop battelfields. The scale has also allowed me to hone my painting and modelling skills where ultra fine brushes, magnifying reading glasses and a very steady hand are requirements. My modelling has begun with armored and infantry companies for both German and US forces modelled for the late war period in Europe. Check back often as I build out my collection and get some gaming underway by experimenting with a variety of rulesets gamers have held in high regard for nearly forty years.